&copy; 2010<script>new Date().getFullYear()>2010&&document.write("-"+new Date().getFullYear());</script>, Company. 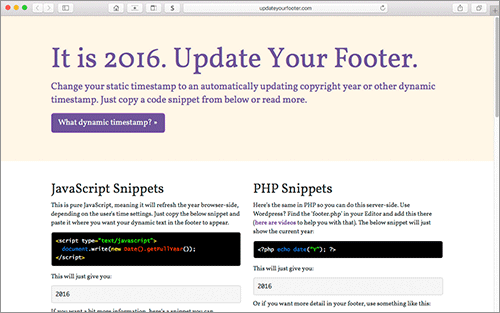 &copy; <?php $fromYear = 2008; $thisYear = (int)date('Y'); echo $fromYear . (($fromYear != $thisYear) ? '-' . $thisYear : '');?> Company.